NBCC has signed an agreement with Mauritius government to develop a social housing project worth Rs 150 crore. The state-owned construction firm will undertake construction of 700 duplex type houses with 50 square meter net floor area with two bedrooms, living and dining rooms, kitchen, bathrooms and toilets each in 18 months in Dagotiere and Mare Tabac. Republic of Mauritius for project management services (PMS) for construction of social housing units in Mauritius. The value of the project is $22 million (Rs 150 crore) approx having completion period of 18 months," the PSU said in a BSE filing. A memorandum of understanding (MoU) in this regard was signed yesterday in the presence of minister of urban development Venkaiah Naidu and the visiting vice-prime minister and minister of housing and lands of Mauritius Showkutally Soodhun. NBCC had also signed an agreement on March 10 to build the new Supreme Court building, again on PMC basis, in Port Louis at a cost of Rs 250 crore within a time period of 24 months. The government of India has sanctioned a grant of $353 million for execution of five projects in Mauritius including Metro Express Project, new ENT Hospital and supply of digital tablets to primary school children. 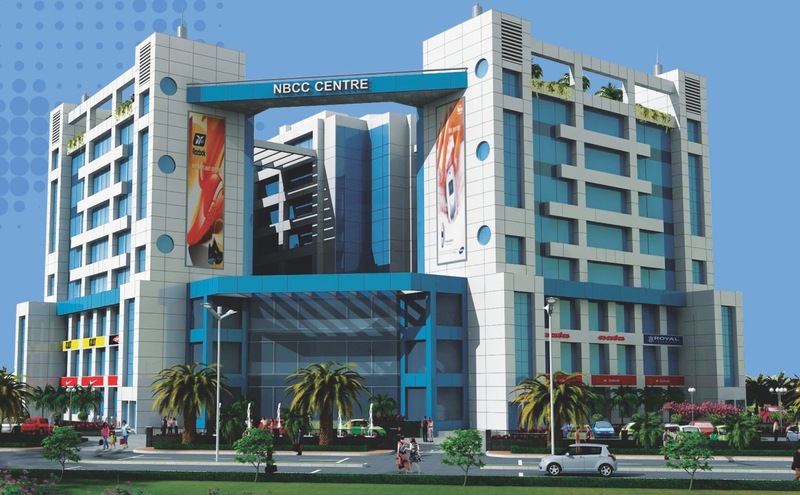 NBCC is a Navaratna PSU under the ministry of urban development. PMC contributes to about 85 percent of the company's annual revenue. The construction firm reported 16 percent increase in its net profit at Rs 64.42 crore for the quarter ended December. Its net profit stood at Rs 55.55 crore in the year-ago period. NBCC is one of the few PSUs engaged in the business of project management consultancy services for civil construction projects (PMC), civil infrastructure for power sector and real estate development. NBCC has been executing many landmark projects as a PMC which contributes to about 85 percent of its annual revenue. The segment being the Company’s core strength, the areas covered under its umbrella include roads, hospitals and medical colleges, institutions, offices, airports, bridges, industrial and environmental structures etc. The Real Estate segment of the PSU which came into being in 1988, mainly executing commercial real estate projects has undergone a sea change operation wise. NBCC ventured into Overseas Operations in the year 1977, executing projects of diverse nature in countries like Libya, Iraq, Yemen, Nepal, Maldives, Mauritius, Turkey, Botswana. Presently, the PSU has its presence in Maldives, Turkey and Botswana implementing various projects and earning consistent revenue. Of late, NBCC has opened an office in Oman and also signed an MoU with Al Naba Services LLC in Oman in order to jointly explore and secure infrastructure projects in Sultanate of Oman and neighbouring countries.